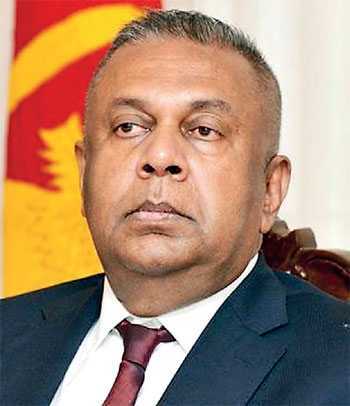 A high-level delegation led by Finance Minister Mangala Samaraweera has left for Washington DC to meet IMF’s high-ups. The purpose? To negotiate for the restoration of the Extended Fund Facility or EFF temporarily suspended by IMF following the political uncertainties caused by the man-made constitutional crisis of October 2018. 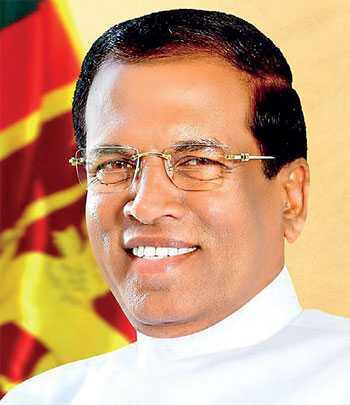 The economic fallout of the crisis, though ignored by President Maithripala Sirisena and his Prime Minster protem, Mahinda Rajapaksa, had been enormous as I had presented in my article in this series under the title ‘With this man-made constitutional crisis, economy will be the casualty; resolve it quickly or perish’ (available at: http://www.ft.lk/columns/With-this-man-made-Constitutional-crisis–economy-will-be-the-casualty–resolve-it-quickly-or-perish/4-665587). It, in fact, had worsened the already deepening economic crisis which had begun in late 2012 and not properly addressed by the present unity government that came to power in January 2015. The crisis had been manifested by a number of critical factors relating to the macroeconomy. The growth rate had slowed down. The public debt had ballooned. The budget had refused to yield to reforms. The external sector had been chronically sick. The rupee had been under pressure for continuous depreciation. The only salutary side of the macroeconomy was the taming of inflation by the Central Bank through a combination of a tight and loose monetary policy package. Hence, the constitutional crisis was like hitting hard on the head of an already dying patient. In fact, it hit on the head of the dying man during the 51 day period during which there was no legally-constituted government in the country. It created uncertainty and markets do not like uncertainties. When they are faced with uncertainties, they make a series of adjustments to eliminate the new risk profiles brought in by the new conditions. To avert the risks, individual investors withdraw from the existing enterprises. With regard to new enterprises, they postpone their decisions. It is like a wounded man losing blood, on the one hand, and not getting enough new blood through infusion, on the other. Either way, he bleeds to death, while his loved ones are watching his death struggle helplessly. The man who has caused the wound, if it has been inflicted by someone, is unconcerned because his objective has been to better his position no matter what would happen to the man who has been wounded. Likewise, political leaders who fight their own personal wars are totally unconcerned about country, its people or its economy. This thesis was amply proved during the infamous 51-day period in Sri Lanka. Many analysts, including this writer, had brought this reality to the notice of the warring parties, but none of them was ready to pay attention to it. Hence, the marker adjustment took place driving the country’s economy backward. As expected, foreigners who had invested heavily in the country’s share market and the government securities market began withdrawing their investments wholesale. In the share market, there was a net inflow of $ 359 million in 2017, according to Central Bank data. During the first 10 months of 2018, according to CSE data, there was a net sale of $ 74 million by foreigners. This amounted to a monthly average sale of $ 7.4 million. In November and December of 2018, they withdrew their investments in an accelerated pace taking out a total of $ 59 million increasing the average monthly net sales to $ 29.5 million. It was the Government securities market which became the biggest casualty of the uncertainty during the infamous 51-day period. In 2017, according to Central Bank, foreigners had purchased Government securities on a net basis bringing in $ 360 million to the country. In 2018, as a risk management strategy to reduce the country’s exposure to these hot moneys, the Central Bank had been gradually adjusting the foreign investment share in the Government securities market. Accordingly, during the first 10 months of 2018, the total investment of foreigners in these securities was reduced by $ 520 million or $ 52 million a month on average. However, during the last two months during which there was uncertainty created by the man-made constitutional crisis, they withdrew a total of $ 423 million or $ 211 million a month. Thus, the country lost $ 482 million in both the share and the Government securities markets during this period. In a very thin foreign exchange market where even $ 10 million could have a major impact on the exchange rate, this was really a bleeding of the foreign exchange reserves which the Central Bank had been maintaining. When the pressure was building on the exchange rate to depreciate, according to Central Bank data, $ 641 million was released to the market by the bank in a vain attempt to keep the rate stable. The end result was for the free foreign exchange reserves to fall from $ 7 billion as at end October to $ 6 billion by the end of 2018. The critical nature of the foreign exchange reserve position is demonstrated when one considers the foreign debt repayment and interest payment commitments during the next 12-month period. That amounts to $ 6 billion, exactly equal to the amount of free foreign reserves in the country at the end of 2018. Unless the country gets a massive amount of foreign exchange flows in the next two months, either it has to default its foreign loans or cut down imports by about a half to keep the economy afloat in a background of adverse external developments and deepening domestic political and economic environment. Sri Lanka was hit by several other external shocks owing to the man-made constitutional crisis. IMF which had offered an EFF to Sri Lanka earlier in mid 2016 to help the country to overcome its balance of payments problems suspended the release of the last instalment of the facility, called the final tranche in IMF terminology. That was not much, only $ 250 million, but it gave a warning signal to outside markets intent on lending to the country. Two other donors – USA and Japan – suspended two credit lines that were in the pipeline. That too frightened the potential foreign investors. Following the action by Moody’s, both Standard and Poor’s and Fitch Rating downgraded Sri Lanka from B+ to B. Before these actions, Sri Lanka’s ratings were in the speculative category depicting high probabilities of credit default, known as junk bond category in rating parlance. Hence, the downgrading did not make that much of a difference to Sri Lanka’s borrowing capacity from international capital markets. 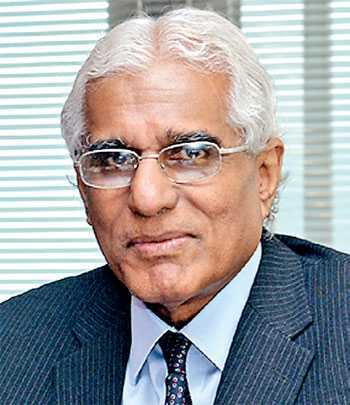 Responding to the uncertainty, foreign investors began to sell Sri Lanka sovereign bonds en masse causing their prices to fall and yield rates to increase. Accordingly, within a week, the yield rates went up by about five percentage points. Thus, the downgrading of rating and the increase in the yield rates prevented the Central Bank which had earlier planned to raise $ 2 billion from the market from doing so. It put further pressure on the exchange rate, on the one hand, and caused the foreign reserves to be depleted unnecessarily, on the other. Accordingly, Sri Lanka is in a critical situation today. It has to find liquid foreign exchange reserves urgently from whatever the source to avert either debt default or drastic curtailment of imports or both. This is the responsibility of the Central Bank and it indeed has stood up to that most difficult task. The Reserve Bank of India, India’s central bank, has come to its help by offering $ 400 million in a currency SWAP facility. In this facility, India will provide dollars to Sri Lanka and Sri Lanka has to provide the equivalent amount in rupees to India. Once the current SWAP matures, they would either exchange back the currencies they had swapped or go for an extension for a further period. This is not the first occasion that India has come to help its neighbour to the south. Even in 2008, it provided a similar SWAP facility to Mahinda Rajapaksa administration when it was faced with a foreign exchange crisis of a high magnitude. Once again, $ 400 million is not much compared to Sri Lanka’s massive foreign exchange commitments. 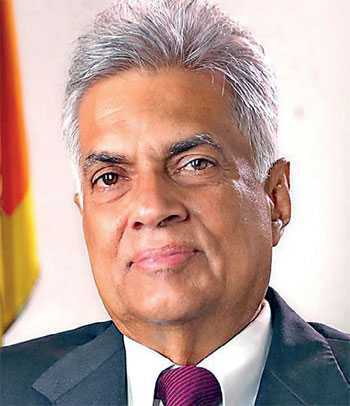 However, that a country with a foreign exchange reserve of $ 396 billion is ready to support its neighbour to the south would certainly help Sri Lanka to build confidence about itself among prospective investors. In this scenario, if IMF too provides a similar facility, it would facilitate to boost Sri Lanka’s confidence levels. In that sense, Mangala’s treading to Washington DC to solicit IMF support is a necessity rather than an obligation. Finding necessary money to meet current bills is only meeting an urgent requirement. It will not take Sri Lanka out of the crisis. In fact, throughout the post-independence period, this is exactly what Sri Lanka’s successive governments did. Whenever the country was faced with a foreign exchange crisis, they tried to wade through the crisis just by borrowing from foreign sources. Once the immediate requirement has been satisfied, they did nothing to bring about a long term solution to the problem. That long-term solution takes the form of increasing earnings from the export of goods and services over and above the foreign exchange requirements. To increase earnings, Sri Lanka has to restructure its exports from simple type of products as it does now to high tech exports to capture a sizable portion of the global market. To create an export friendly environment, there are a lot other economic reforms which it has to undertake. First of all, the Government should reform its budget – known as budgetary consolidation – to release funds for investment by curtailing consumption. Budgetary consolidation means the Government’s taking charge of the budget rather than the budget taking charge of the Government. On one side, it involves increasing revenue and cutting down unnecessary expenditure while increasing productivity related ones. The latter ones include expenditure on education, research and development, healthcare services and essential infrastructure facilities like roads, power-plants, improvements in communication facilities, etc. On another side, with improved revenue and expenditure conditions, fiscal consolidation aims at generating savings in the budget – that is, keeping its consumption expenditure known as recurrent expenditure below the revenue levels – and reducing the overall budget deficit to an affordable level. The latter target brings out another beneficial improvement in the form of keeping a check on the growth of overall public debt levels. In the EFF, the Government had pledged to implement a six-fold reform program for the country. They cover reducing the budget deficit to 3.5% of GDP by 2020, expanding the tax net, improving public financial management, reforming loss making public enterprises, introducing inflation targeting, facilitating trade and investment. In addition, an important requirement is relaxing the regulatory environment to make it easy for an investor to do business. It is unlikely that the Government would be bold enough to introduce these tough measures in this election year. But, if they are postponed or not adhered to, the casualty would be the economy in the long run. What it would mean is that the current manifestations about the sickness of the economy would continue to plague the country until it is squeezed of its breath. What are the ramifications? They would be the presence of these economic manifestations on a bigger scale. Accordingly, growth will be slower, public debt bigger, inflation higher, exchange rate lower and monetary policy tighter. In the absence of necessary reforms, this cycle will be repeated and in each subsequent cycle, the problem would be much bigger than before. Hence, while seeking IMF support, the Government should not ignore the need for introducing necessary long-term reforms, the treatments needed for the ailing economy.